Cafe table base in a powder coated Black finish. Heavy duty cast iron base with a stepped design. Available from stock for a free and fast delivery. Free UK mainland delivery. 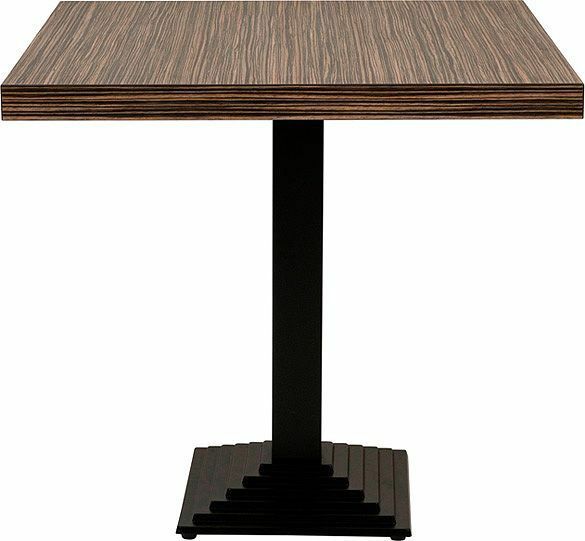 heavy duty square stepped table base with four rubber feet for grip. Delivered to mainland UK addreses within a lead time of approximately 3-5 working days from order date.